In the last few years France has become one of the top destinations in Europe for foreign students, with nearly 300,000 enrolled annually. For EU residents, applying for a higher education course is relatively simple. For non-EU applicants there is a little more red-tape to navigate. EU, EEA and Swiss citizens can all study without a visa in a French university, providing that they have a European Baccalauréat or equivalent qualification giving access to higher education. If you meet these criteria, you can apply to different universities via the admissions website, which offers a lot of information about degrees, conditions, important dates and much more. You will need to enter several choices, as some courses have limited capacity. If you are not an EU, EEA or Swiss citizen, you will need to hold an International Baccalauréat or an equivalent certificate. You will also have to apply for a Preliminary Admission Application (DAP) via the internet. If you are currently residing abroad, you will need to fill in the “white application” (dossier blanc). If you are residing in France however, you will need to fill in the “green application” (dossier vert). Keep in mind that this procedure is only necessary when applying for the first year of a Bachelor’s degree (licence). For a following year, a Masters or a Doctorate, admissions must be done at the university itself, or through the university’s website. If your country of origin is a member of Campus France, the organisation will help you through the entire process. Studying at a French public university may be free (or very cheap compared to other European countries), but enjoying your student life in France will be difficult without any money. Thankfully, financial aid is available, just remember to apply several months before your departure and if you’re applying for more than one scholarship check each deadline carefully. Study grant: for students enrolled in a course at a French university. High-level scientific group grant: awarded as part of a high-level programme of cultural, scientific, technical or industrial research and exchange. Social security cover grant: awarded mostly by French embassies abroad, this grant exempts the recipient from having to pay admission fees, but does not give priority for student accommodation. There are also merit-based scholarships, awarded to excellent students who wish to come and study in France. Eiffel programme: this programme is designed to provide funding for a Master’s degree or a thesis. Quite rare, it is awarded to the very best students. Applications for this programme must be submitted by French schools or universities. Major scholarships: awarded to the best student coming from French educational institutions abroad. These scholarships aim to provide financial aid for up to five years (if the student undertakes a Master’s degree). 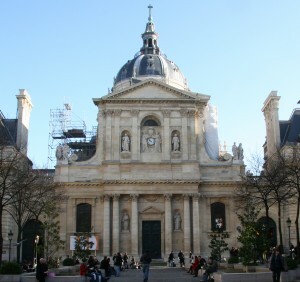 For those following a business course, some schools have agreements with several French businesses for co-financed scholarships, to promote the hiring of foreign students. Please note that the CNOUS (the French national organisation in charge of scholarships) can help you find student accommodation on campus if you receive a scholarship. If you do not receive one, you may ask for accommodation, but will only be given a room if there are any left. As the Erasmus programme is aimed at providing students with the opportunity to live and study abroad, it also provides grants to help them during their stay. There are two types of grants, one for EU students, and one for third-country students. The monthly allowance can vary from €500 to €1,000, depending on where you go and the duration of your stay. You will also receive a fixed amount of money upfront to move and settle into your new country.